Lauderhill Movers – Moving can be extremely difficult but with the right company in your corner the process can be a breeze. With over a dozen years of experience, Discount South Florida Movers are here to remove the hassle from your moving task. You can’t beat our rates and our experts will guarantee your satisfaction. We put our customers first and do everything we can to put your mind at ease. No matter what you need done with your move, we are there for you. All of your residential or commercial moves can be handled and we will fulfill any special request you have. We can ship your items anywhere or deliver them directly to storage if you would prefer. Let us know what your needs are and our moving supervisors will build a plan tailored to your individual move. Lauderhill, the home of Jackie Gleason, is a city in Florida located in Broward County. This city of 67,000 people spans 8.6 miles in the interior of the county. The city was incorporated in 1959 and developed largely by William Safire. The original homes were built in a manner designed by Andrew Geller for the “Typical American House” at the American Exhibition in Moscow. One of the biggest attractions in the city is the Inverrary Country Club. The gold course was home to the Jackie Gleason Inverrary Classic until 1984. It is now known as the Honda Classic. Jackie Gleason’s final home was situated on the golf course. The city also boasts a cricket field in the US that was used to host the first international cricket match by two ICC members. 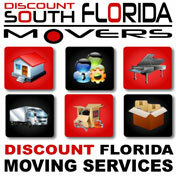 Discount South Florida and Lauderhill movers provide low rates on residential, commercial, piano and long distance moving.